The compounding pharmacy from Framingham that was accused of manufacturing tainted steroid injections responsible for killing dozens of people across the country has decided to place the blame elsewhere, according to the Boston Globe. The pharmacy, the New England Compounding Center, submitted a letter from its attorneys to UniFirst Corp. that provides cleaning services and uniforms. The letter demands that UniFirst take legal responsibility for claims made against the pharmacy for the tainted steroid injections. UniFirst did say that its subsidiary, UniClean, helped to clean areas of the pharmacy’s cleanroom facility located in Framingham. UniFirst also insisted that the cleaning services were limited and that the company was not liable for the tainted steroid injections. UniFirst noted that two of its employees cleaned areas of the cleanroom at New England Compounding Center for 90 minutes one per month using the cleaning solution provided by the pharmacy. Mold and other contamination was discovered by federal investigators when they went to the New England Compounding Center back in the month of October. In 2012, 656 patients who received steroid injections for back pain became sick from fungal meningitis or other infections. Of the 656 affected, 39 people died, according to the Centers for Disease Control and Prevention. 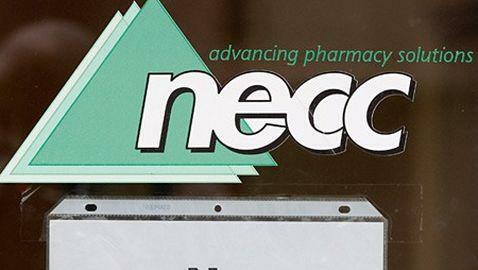 The company has been sued by dozens of patients, which has led the New England Compounding Center to file for Chapter 11 bankruptcy protection. The company filed back in December and promised to create a fund to pay the victims. The company also said during its bankruptcy filings that it has under $10 million in assets. Lawyers claim that this is much less than what some plaintiffs need. One attorney representing some of the victims is Fredric Ellis. Ellis noted that the New England Compounding Center might be looking for other companies to contribute to the settlement fund. The pharmacy has since closed its operations, surrendered its license and recalled its products. A spokesperson for the company did not offer a statement or comment on the issue. The letter UniFirst received from the New England Compounding Center was disclosed this week, according to a filing with the Securities and Exchange Commission Thursday. Ellis is working to obtain a subpoena to determine if UniClean has any responsibility in the case.